The Works is the latest discount retailer to take up space at the popular Parkgate Shopping retail park in Rotherham. 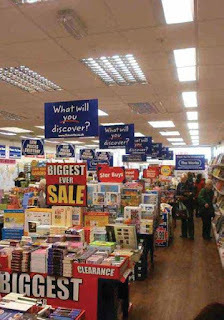 The Works has over 330 stores across the UK offering books, arts and crafts and more at discount prices. With a Rotherham store already on Effingham Street in the town centre, the growing business is set to open 60 new stores in 2016. Serving an estimated 24 million people each year and offering 40,000 different products every year, The Works appeals to anyone looking for wide variety at great value prices. The company's aim is to be the UK's number one discount alternative to full price specialist retailers of gifts, arts, crafts, hobbies, stationery, toys and books. The Works was established in 1981 as a discount bookstore; "Remainders Ltd" and rebranded to become The Works in 2003. It was acquired by private equity firm, Endless LLP in May 2008 and in September 2015, Dean Hoyle, the founder of Card Factory, invested in the business and became chairman. Endless remain the main shareholders of The Works Stores Ltd. In 2014/15 total sales at The Works grew by 12% to £157m. The business has so far targeted stores of 1,500 and 2,500 sq ft in high street or shopping centre locations with high footfall. Parkgate recently ranked in the top ten of British retail parks ranked by the total retail spend attracted to each centre. Attracting over nine million visitors a year, the 575,000 sq ft retail destination is one of the largest retail parks in the UK. Home to over 40 shops, the park is anchored by the likes of M&S, Outfit, Next, Boots and H&M. The closed Blue Inc. store is under offer and a 15,000 sq ft Smyth's Toys outlet is set to open in the subdivided Mothercare unit in June. In a transaction worth around £175m, BMO Real Estate Partners (BMO) acquired Parkgate Shopping in September 2015 from the Hercules Unit Trust (HUT), which is advised by British Land and managed by Schroders.